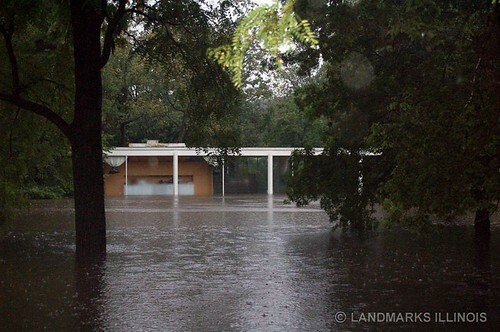 On September 14, the Farnsworth House was engulfed by the Fox River, sustaining significant damage to its interiors and furnishings. The house, designed by Mies van der Rohe and now a National Trust Historic Site, is reopen for tours through October 29 to benefit the restoration. According to a new blog covering the effort, estimates for repairs are still being tallied. While restoration work is proceeding, some suggest that the house should be moved to a more secure location.